My family has always been a fan of genre fiction. My mother is a fantasy fanatic and my father schooled me in the ways of science fiction. The story of their first date (to see Star Wars in first run) is practically a family legend. But some of my oldest memories are of the adventures of the U.S.S. Enterprise. While I was raised on an IV drip of The Next Generation and my strongest affiliation is with the unfairly-maligned Voyager, I have always understood the weight and gravitas that the Original Series cast carried in kicking off the Star Trek legacy. A steady diet of the Trek films and a couple of favorite Original Series episodes made me very familiar with the cast dynamic. And their immense contribution to my young mind cannot be properly measured. In 1999, I had my first inkling that the Original Series cast were no longer the young men and women of the 1960s, nor even the middle-aged but still vibrant characters of the 1980s films. That summer, DeForest Kelley—famously Dr. Leonard “Bones” McCoy—passed away of stomach cancer. 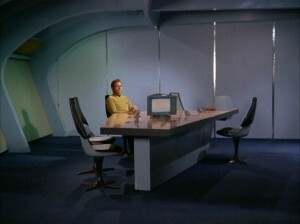 In the summer of 2005, the life of James Doohan—Montgomery “Scotty” Scott—came to an end as well. I realized that their greatness and power in my mind could not override their own humanity, a no-win scenario that even Captain Kirk would not be able to save them from. Losing them was difficult. But last week was worse. On February 27, 2015, Leonard Nimoy—Spock—died of complications from COPD; a disease he contracted after years of smoking, though he had given up that habit before I was even born. Amazingly, the entire internet has mourned this man, many by mourning Spock himself, the alien character he embodied in The Original Series. 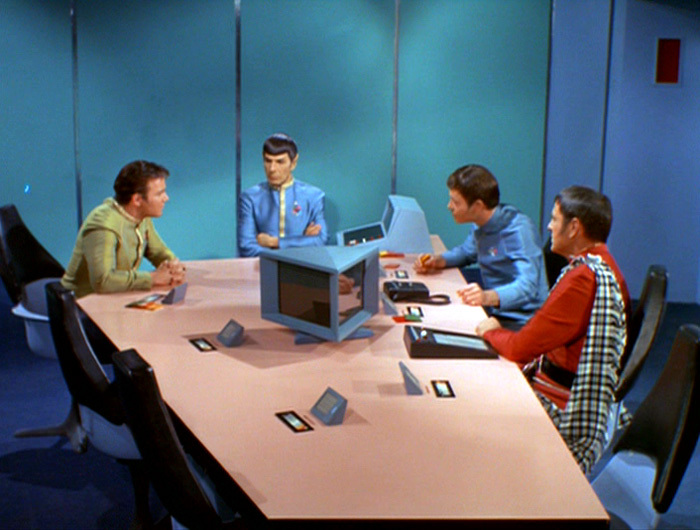 Senior Officers of the Enterprise: William Shatner, Leonard Nimoy, DeForest Kelley, and James Doohan. Of course, he wasn’t only Spock; in fact, his 1975 autobiography proclaimed as its title “I Am Not Spock” (though his 1995 follow-up would recant, admitting “I Am Spock“). But it was the Vulcan—or rather, the Vulcan-human hybrid—who made him famous, just as he made the Vulcan famous. In the last years of his life, he even used Spock’s famous greeting “Live Long and Prosper” as the sign-off for most tweets he sent (as “LLAP,” since 4 characters are easier to fit in a tweet than 21). Though Zachary Quinto took over the pointy ears in 2009’s J.J. Abrams reboot of Star Trek, Nimoy made an appearance, solidifying him as the man who gave Spock life and the only man worthy to pass that life on. His final role was a minor appearance in 2013’s Star Trek Into Darkness. During a career that spanned over half a century, Nimoy made inestimable contributions to science fiction, while inspiring millions of scientists and astronauts worldwide. On the day he died, I noted on Facebook that no celebrity death had affected me so profoundly. It’s fascinating (yes, fascinating) how deeply the death of a man could affect me when I never met him or talked to him. I read several books about Star Trek, so I knew a bit about him, but I never met him. Yet his work shaped my life profoundly. Nimoy’s portrayal of Spock made me realize that the fact that I was different than others (namely, geeky) wasn’t a bad thing; in fact, it made me vital. His drivenness as an actor and director reminded me the importance of striving to get a job you love. And his “Live Long and Prosper” catchphrase, borrowed from the 23rd century, reminded me before I was even a Christian that there are things of value that go far beyond the immediate. Now, as the character of Spock passes into the mythical alongside Sherlock Holmes and Robin Hood and the current incarnation settles completely on Zachary Quinto, I find myself evaluating my legacy. What will I leave behind? I have a wife and a son; are they my legacy? Is this site my legacy? Will my friends remember me after I am gone? Far from being illogical, this is a crucial question for me to determine how I will live my life. I turned 30 today; how can I make the next 30 count? Perhaps Spock’s eulogy may give us direction. We are assembled here today to pay final respects to our honored dead. And yet it should be noted, in the midst of our sorrow, this death takes place in the shadow of new life, the sunrise of a new world; a world that our beloved comrade gave his life to protect and nourish. He did not feel this sacrifice a vain or empty one, and we will not debate his profound wisdom at these proceedings. Of my friend, I can only say this: Of all the souls I have encountered in my travels, his was the most…human. Our new world begins today. May we all Live Long and Prosper. This entry was posted in Current Events and tagged gen con 2015, Leonard Nimoy, Rest In Peace, Star Trek. Bookmark the permalink. Wait another 25 years and the question “What have I done and who will remember me?” becomes even more important. More and more I appreciate the fact that God will never forget me. Only through Him does any contribution I make in life have meaning. My legacy rests with you, your sister and brother, and now Calvin. I’m very proud and pleased with this legacy.